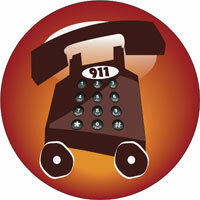 On April 27, Marblehead, Mass., 911 operators got a desperate call for help from a house in their jurisdiction. And when officials say the call came from the house, they mean it literally. After months of enduring a leaking pipe that buckled its floors and sagged its ceilings, the empty house somehow called police for help, according to the Associated Press (AP). It appears that water short-circuited the phone system, sparking the emergency call. Officers were sent to the address after the call was recorded as a hang up and a return call got static, according to AP. Inside, they found the wreckage, including potentially toxic mold, from a pipe that apparently burst during the winter. Town officials say the interior may have to be gutted. Police couldn’t immediately locate owner James Cowen. However, his cousin, William Cowen said James’ father left him financially secure, and he often travels.